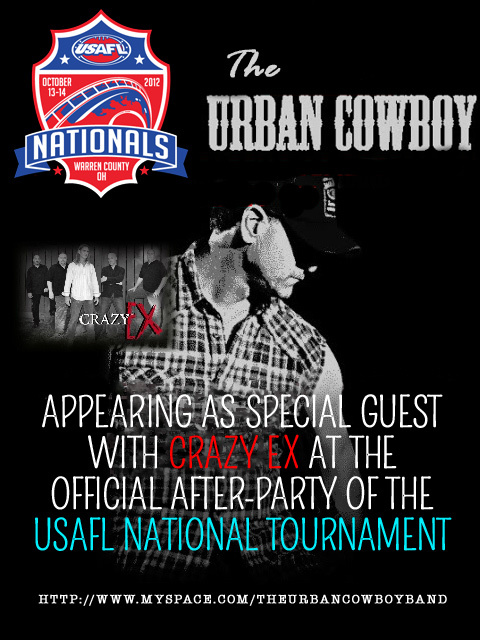 Once again, the USAFL is proud to have Crazy Ex with special guest, The Urban Cowboy (aka "Grilla") entertain tournament attendees during the Official Sunday night After-Party at The Brazenhead Irish Pub - Doors open at 7pm and ENTRY IS FREE! 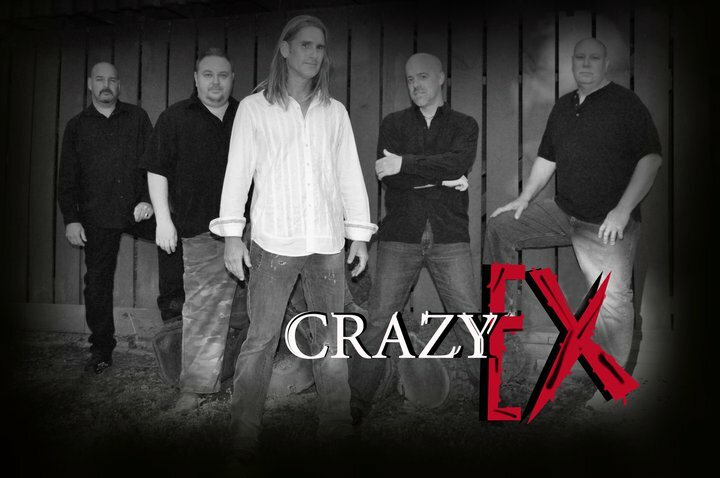 Crazy Ex is a straight-up Rock 'n' Roll band who play classic covers from bands such as Cream, Queen, AC/DC, Led Zeppelin and ZZ Top through to the 80's and 90's from bands such as Poison, Kiss, Motley Crue, Metallica, Cheap Trick, Blink 182, Green Day, Everclear, Judas Priest, Cracker and some newer bands like Lenny Kravitz, Local H, Marcy Playground and Theory of a Deadman. The band will be playing from 9:00pm until 1:00am at the Brazenhead Pub! There will be a complimentary shuttle bus to and from the bar and both hotels, Kings Island and the Marriott.